It is no secret that a proper up keeping of hair can make it dramatically lustrous and voluminous. Hair is the asset of one’s glory and likewise having the most envious hair is a dream come true and certainly takes one beauty several notches higher. TJC understands the struggles of every man and woman in managing those manes and hence have sorted you all with the right supplements for almost all your hair problems. Yes, the name is L'Oreal- a brand highly dedicated for haircare and ushering the maximum benefits for mane management. 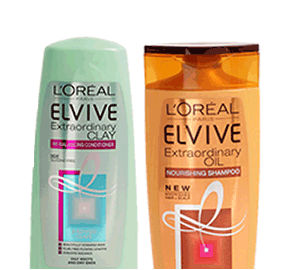 The hair care products from L'Oreal excel in not only keeping all the hair problems at bay but also protect from the natural to chemical damage one is vulnerable to. Our hair is exposed to maximum damage with the daily humdrum of lives, and keeping it filled with extra nourishment is the key. So, Loreal hair care products win in aiding seamless nourishment and treating them in the most miraculous way. The shampoos, conditioners, stylist mousse, hair masks- all are prepared to keep in mind the hair damage one go through and the struggles one faces in proper hair management. The essential oils and nutrient filled products act as a boon to enrich hair to the maximum and even let them grow and shine like a dream. L'Oreal hair products are completely safe to imbibe in your daily haircare routine and surely weave a trustworthy story for your desires of getting tresses with impeccable lustre and volume. Let your tresses grow, shine and flaunt with the waves of fashion and keep no steps backwards in shining the world the way you shine your hair with L'Oreal hair care products. All the haircare range from L'Oreal is now available at TJC to smoothen your journey of looking like a diva every way and of course, good hair is equally important.